Eagles defensive end Brandon Graham. Back in February, we went deep down the nerd hole, taking a look at the Philadelphia Eagles' overall salary cap situation as well as their need for more draft picks, and suggested that the Birds were primed to play 'the compensatory pick game' during the 2018 offseason. In February, we suggested that TE Trey Burton, CB Patrick Robinson, DT Beau Allen, and to a somewhat lesser degree, K Caleb Sturgis, were prime compensatory pick bait. As it turned out, the Eagles did indeed let all four players walk in free agency (without signing free agents of their own that would count toward the comp pick formula, thus canceling them out), and as a result they are presently projected by OverTheCap.com to receive four free picks in the 2019 NFL Draft (a 4, two 6's, and a 7) in return. In Howie Roseman's press conference after trading for Tate, he acknowledged that compensatory picks are going to be considered whenever the team makes roster transactions. "I think last offseason was the first time we spent time and effort on the compensatory system," he said. "Going forward, that is something we are going to have to look at and we are looking at it as we evaluate our roster and think about our picks going forward. We anticipate we are going to get some good ones this year. We do have a bunch of free agents after this year. When we sit down in the offseason that is going to be part of our calculation and formula and certainly part of our analysis whenever we acquire anyone or think about signing or extending players at this point and in March when we get to the free agent market." Translation -- The Eagles are likely to play 'the compensatory pick game' again during the 2019 offseason. Here's a look at some impending free agents who could move on from Philly this offseason, who could qualify for compensatory picks in the 2020 NFL Draft. As a reminder, the higher the contract a player signs elsewhere, the higher the comp pick the team that lost that player receives. • QB Nick Foles: Foles isn't often listed as an impeding free agent because he kinda-sorta-but-not-really signed a contract extension in April. Here's an explanation of the Foles deal from OverTheCap.com. Foles renegotiated his contract and signed a new two year contract worth up to $29 million in base salary. The contract pays Foles a $2 million signing bonus in 2018, which represents a $2 million raise from his original contract. There are $14 million in additional incentives available. The 2019 season, which was a void year, is now an option year with a player void clause. The Eagles can opt into the contract, which carries a $20 million salary, by picking up the option a month before the start of the 2019 league year. The salary is guaranteed on the 3rd day of the league year. If the option is exercised Foles may still become a free agent by paying back the $2 million signing bonus he received in 2018 as part of this new contract to void the 2019 league year. The Eagles can do nothing, and Foles will become an unrestricted free agent. The Eagles can opt into the 2019 season, and Foles can buy his way out by paying back the $2 million bonus he received in April. The Eagles can opt into the 2019 season, and Nick Foles can say, "Thank you very much. I will gladly be a backup again for $20 million." According to a league source, in all three scenarios above, Foles will count toward the comp pick formula, though obviously it would just be delayed a year in scenario No. 3. Scenario No. 1, for the record, is by far the most likely option. • WR Golden Tate: After the Eagles traded for Tate, many observers immediately pointed to the potential of the Eagles receiving a 2020 comp pick in return if he bolted in free agency after serving as an eight-game rental. Some have suggested that the Eagles could potentially receive a third-round comp pick in return for him. That's not going to happen, but a fourth- or fifth-round comp pick is realistic. 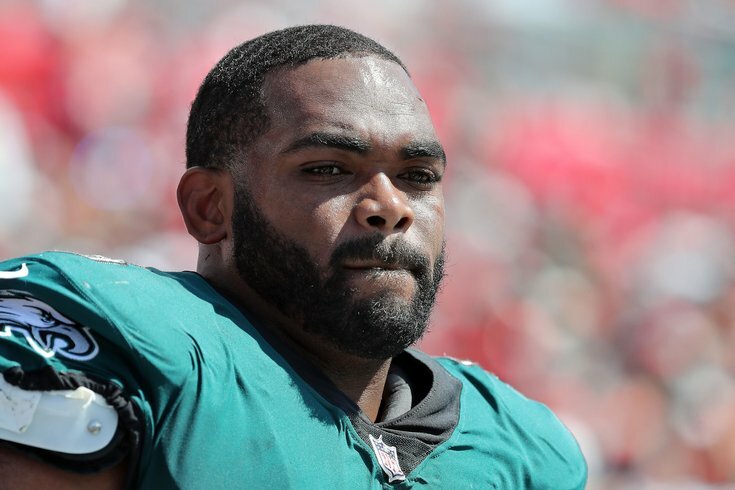 • DE Brandon Graham: The 2018 offseason came and went without a contract extension for Graham, and it appears as though he could be testing the open market during 2019 free agency. Graham was excellent in 2016 and 2017, but his 2018 season is off to a slow start (1.5 sacks) after coming back from ankle surgery this offseason. His appeal, at the age of 31 next offseason (he's currently 30), is difficult to predict. Teams around the league will have to weigh the high value of the position Graham plays vs. his health, age, and future outlook, if indeed Graham and the Eagles don't agree on a contract extension prior to the new league year. • CB Ronald Darby: Talented corners are always in demand. Darby has talent, but it hasn't always translated to the field on game day, as he can look great one week, and not-so-great the next. Still, at 25 years of age next offseason (he's currently 24) and possessing appealing athletic ability, Darby should attract plenty of attention from teams that think they can maximize his ability. With Jim Schwartz's undying love for Jalen Mills along with the positive showings so far from Sidney Jones and Avonte Maddox (assuming Maddox eventually moves back to slot corner from his current safety spot), it's unlikely the Eagles will shell out big dollars to keep Darby. • RB Jay Ajayi: After adding an ACL tear to already damaged knees, Ajayi isn't likely to receive the type of offer he (or the Eagles) would have liked to have seen him get on the open market. He'll likely have to play on a low-cost one-year "prove it" deal in 2019. Maybe he attracts a seventh-round comp pick, but even that isn't assured. I think the Eagles would probably like to bring him back if it's looking as though losing him won't result in a comp pick. • LB Jordan Hicks: If there's a player currently slated to become a free agent that the Eagles would like to keep above all others, it would probably be Hicks, provided he stays healthy for the entirety of the 2018 season. To date, Hicks has not yet missed a snap this season, and while he hasn't been the playmaker he was early in his career, I believe the team thinks he still possesses that kind of ability. Again, to earn comp picks for the players noted above (they can earn a maximum of four, by the way), the Eagles would also have to refrain from signing free agents away from other teams, which shouldn't be a problem seeing as they have no money to do so anyway. What the Eagles can do to fill holes is sign bargain bin players to veteran minimum deals, or wait for teams around the league to release players, as they wouldn't count toward the comp pick formula. In other words, you'll likely see a similar "old guy strategy" from the Eagles in free agency next offseason (and possibly going forward), with the notable exception being that the team will have closer to 10 draft picks every year as opposed to the five they had in 2018.